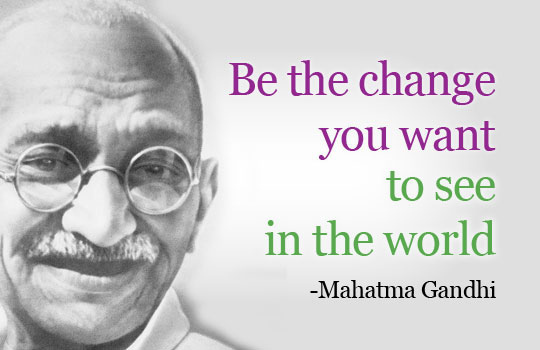 Mohandas Karamchand Gandhi (1869-1948), better known to the world as Mahatma Gandhi, was the most influential leader of Indian nationalism in British-ruled India. Employing non-violence (Ahimsa) and peaceful protest in his methods, Gandhi led India to independence and inspired many subsequent movements for non-violence, civil rights, and freedom all over the world. Note: Numbers in brackets correspond to the source references for these passages, which can be found listed at the bottom of the page. “Autobiography” by M.K. Gandhi, pp. 90-91, also see “Young India” 12th November 1925. Warm greetings to all Theosophist. I am from the Philippines and ive been a subscriber of The Theosophisycal Digest since I grabbed one copy of it. Since i dont have any of this booklet anymore I try to find your profound teaching on the net. So thanks I seek you and I found you.